Coming up with custom limousine design ideas isn’t always easy. You might get stuck on what a limousine should look like versus what you want the design to be. The truth is, it’s your custom build and you’re free to use whatever theme works best for your business. Sometimes you still need some inspiration to jump start your creativity. We’ve put together some of the more common themes just to give you an idea of what’s possible. Remember, these are just ideas. Create your own theme, mix and match these ideas or just put your own unique spin on one of these. It’s a classic, but it still works. The sleek, black limousine you see delivering high-level executives to corporations is best described as business professional. It’s all about power and prestige. You won’t see neon colors or flamboyant interiors here. Instead, the focus on the quality of the leather on the seats, branded stitching and a fully stocked bar of exclusive spirits. It might not seem exciting, but if you’re catering to business clientele, it’s ideal. Catering to the party crowd? Party themes are some of the top custom limousine design ideas. SUV’s and party buses are the top body types. Some limousines cater exclusively to bachelor/bachelorette parties, while others focus on birthdays. These are the types of designs to let your creativity run wild. Use fun, crazy colors for the exterior. Add in color changing lights that move to the music. Unique layouts to accommodate dancing and even a DJ should be considered for this type of custom build. You might think a romantic getaway theme is the same a business professional, but it’s not. The idea is to make the limo a cozy place to snuggle up as a couple. Usually, a couple is going out for a romantic dinner and event or heading off to a romantic location. Mood lighting and programmable audio systems are a must. Soft colors inside and more relaxed colors, such as white and blue, work well for the exterior. Nearly any model, outside of party buses, could be used for this design type. Today’s newer limousines look amazing, but there’s nothing wrong with stepping back to the elegance of the past. For more unique custom limousine design ideas, look to the past. Incorporate body styles from the 40s and 50s. Use color schemes from limos used in classic movies. The vintage look caters to anyone looking for something different. Plus, vintage themed anything is in style right now. If your business often has wedding clients, custom build a limousine based around a royal wedding theme. A plush burgundy and gold interior along with a roll out red carpet makes a bride feel like a princess. A white exterior with making gold or chrome trim instantly makes the limo seem like it belongs to royalty. Take a look at past royal weddings and base your own design around the limousines and carriages they used. Though you won’t seem them as often, sports and pop culture themed custom limousine design ideas are both unique and fun. 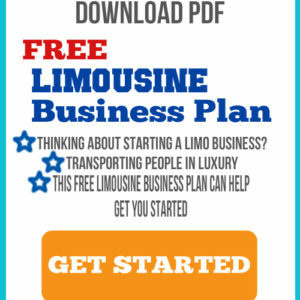 If your business is near a sports arena or pop culture destination, consider having a themed limo to cater to fans. For instance, the Transformers Bumblebee inspired limo would appeal to any Transformers fan. Adding logos, incorporating theme specific colors and even crafting a unique body style (such as the Bat-mobile) all serve to bring a little bit of pop culture to your limo business. Are you feeling inspired yet? We’ve worked with our clients to turn a wide variety of custom limousine design ideas into realities. Every limousine doesn’t have to look the same. Think carefully about your design as it could make all the difference between a passenger choosing you or the competition. Have an incredible design idea in mind? Contact us today and we’ll help make it a reality.